What a great start to the year we’ve had so far, kicking off with the 4th year of our London Remixed Festival at Richmix! Showcasing some of the finest music in Latin Grooves, Afrobeats, Tropical Bass, Vintage-Remix, Desert Remix, Balkan Beats, Urban Roots, Acoustic Soundclash and Brass Band Remix. The urban festival is a celebration of the best emerging musical talent with a buzzing festival atmosphere but without the mud, rain or hassle of camping. London Remixed Festival 2016 was a huge success, a music festival bringing artists of all genres together under one roof that just kept on raising! The spacious and versatile festival venue Rich Mix was packed with happy punters drinking, dancing, chatting, and goggling the amazing acts with beaming smiles and dancing some more. In this month’s post we’ll be bringing you our favourite highlights of the event. 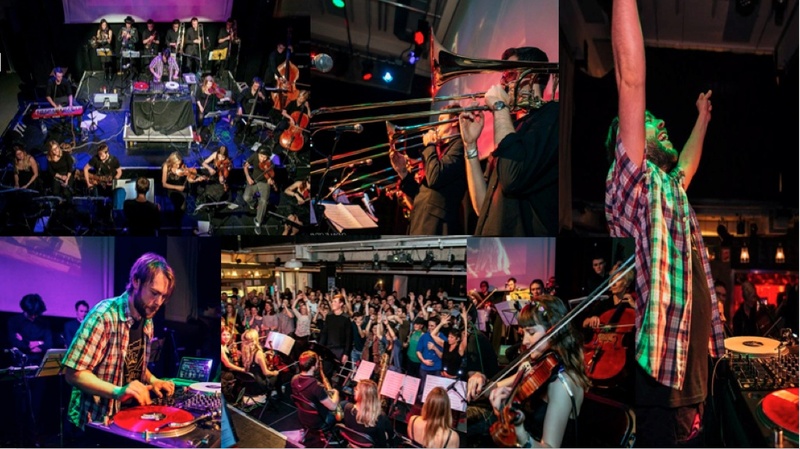 4 x World DMC Champion DJ Mr Switch alongside composer Miles Hancock and a 20-piece orchestra re-creating dance music classics live. This was the first act of the festival and what a way to kick start the event! The entire stage was electrified with the energy of the phenomenal 20-piece orchestra Symphonica and at its heart Mr Switch spinning and scratching at the speed of light, seamlessly mixing beloved dance tracks and transforming them into something so powerful. I was truly hypnotised by this act. 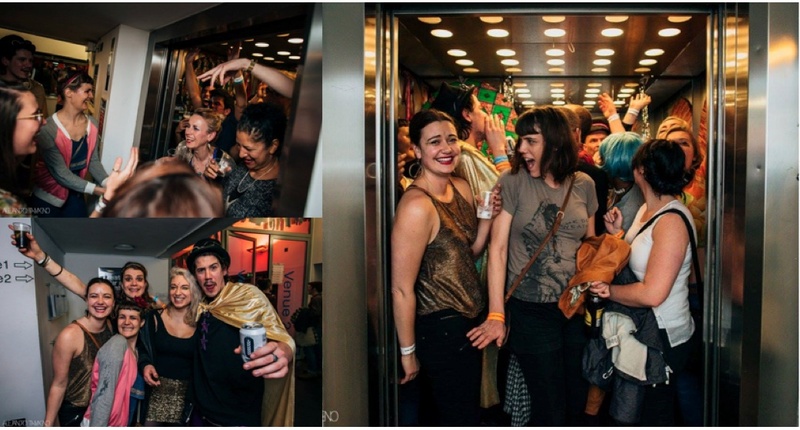 The Disco Lift was by far the smallest and one of the most popular feature of London Remixed Festival. Complete with a sound system, a disco ball and a very funky concierge! A fantastic line up of DJ’s throughout the night including DJ Chris Tofu and Mixmaster Morris taking the festival goers through the highs and lows of the evening. I used the lift to get around a fair few times throughout the night and met a few enthusiasts who had spent a large proportion of their time going up and getting down in this funky musical ride. We’ve had some fantastic headline acts this year (K.O.G & the Zongo Brigade, Honeyfeet, 47SOUL) and a wealth of other equally brilliant bands. There are simply too many to write about in one blog entry, so we decided to focus on the very special 47SOUL, and invite you to visit the London Remixed Festival Website to find out more about the rest of this year’s line-up. 47SOUL are a 4 piece act that perform what they call electronic Palestinian street music or ‘Shamstep’. They projected an incredible energy on stage, setting a perfect example of how blending modern innovation with tradition can create a mind blowing, body bopping musical experience. These guys know what I’m talking about!! I would highly recommend seeing them live if you get the chance!